We recently introduced to you our newest product at inqaba biotec, our Surgimaggs, sterile maggots for wound debridement therapy. 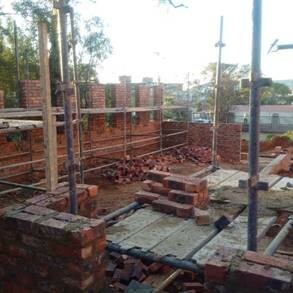 Well that’s not at all the only new project inqaba biotec is engaged with.Most recently our neighbours started the construction on a new building which will host our Genomics service labs by early next year. As a result of the demand for our Genomics services, inqaba biotec is growing in both, number of staff and work done. 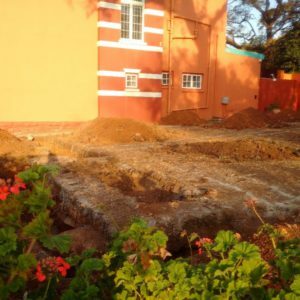 This has encouraged executive management to lease a new facility currently being built next to our current address at 525 Justice Mahomed street in Muckleneuk. This new facility will enable an increased productivity from our dedicated team. And there are some new ventures coming up in the near future. Good to see how we started! When all had been mapped and agreed on, the digging began. 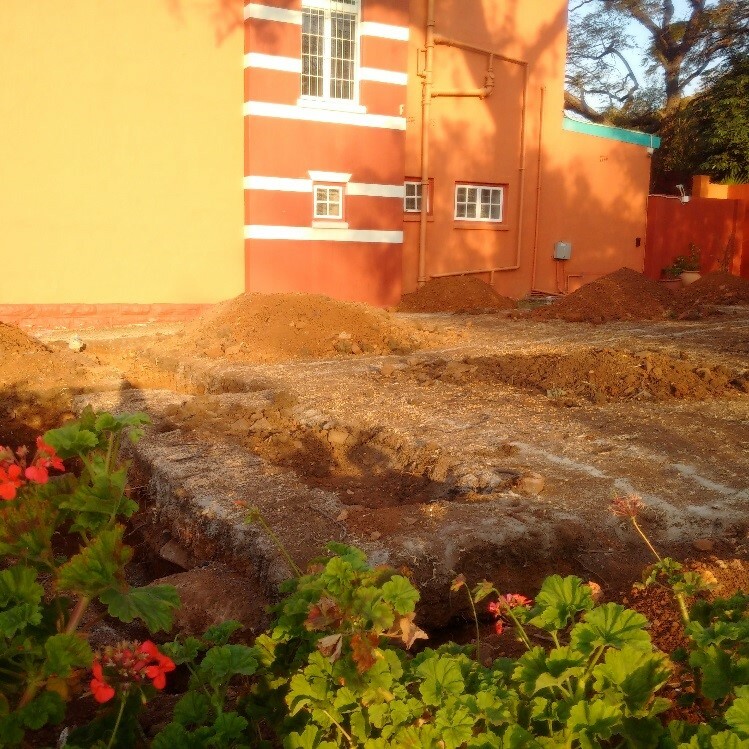 Laying out the foundation of this great facility, has gone swiftly with all favours on our side. You may also notice that our beautiful garden remains un-disturbed to provide that wonderful finish to the building being made. It is true that a little progress everyday adds up to yield big results. We are proud to inform you on this great project inqaba biotec has embarked on and we will keep you updated on the progress. All teams set to occupy this facility are very enthusiastic and ready to provide you with the best service.